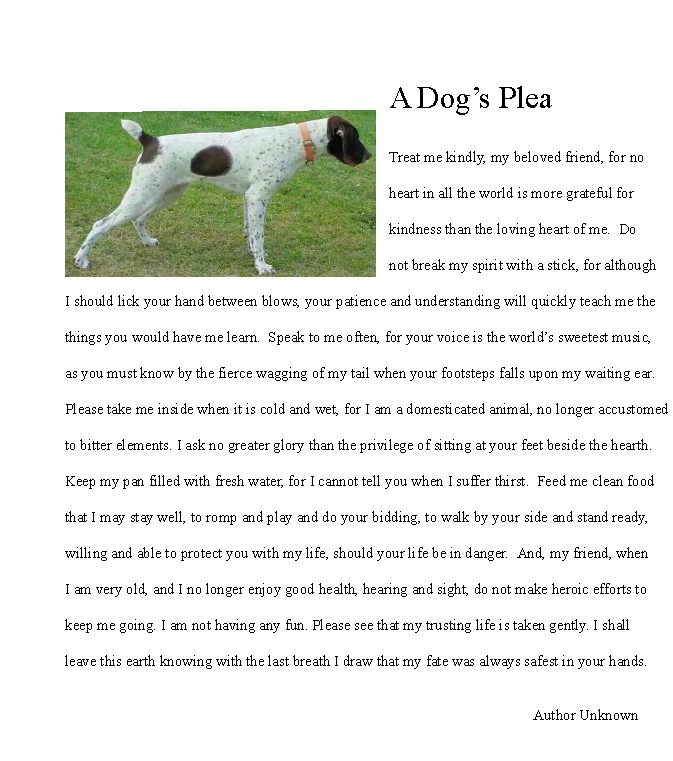 German Shorthaired Pointer Did You Know? 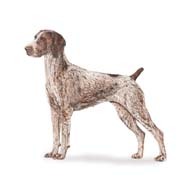 The German Shorthaired Pointer is a versatile hunter, an all-purpose gun dog capable of high performance in field and water. 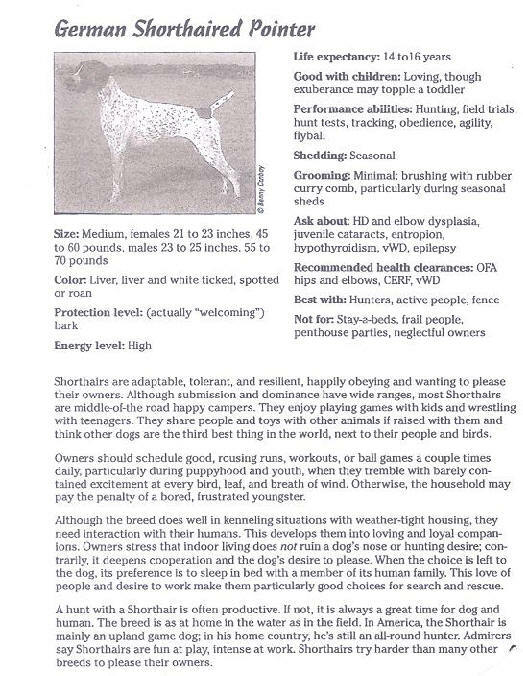 The judgment of Shorthairs in the show ring reflects this basic characteristic. The overall picture which is created in the observer’s eye is that of an aristocratic, well balanced, symmetrical animal with conformation indicating power, endurance and agility and a look of intelligence and animation. The dog is neither unduly small nor conspicuously large. It gives the impression of medium size, but is like the proper hunter, "with a short back, but standing over plenty of ground." Symmetry and field quality are most essential. A dog in hard and lean field condition is not to be penalized; however, overly fat or poorly muscled dogs are to be penalized. A dog well balanced in all points is preferable to one with outstanding good qualities and defects. Grace of outline, clean-cut head, sloping shoulders, deep chest, powerful back, strong quarters, good bone composition, adequate muscle, well carried tail and taut coat produce a look of nobility and indicate a heritage of purposefully conducted breeding. Further evidence of this heritage is movement which is balanced, alertly coordinated and without wasted motion. The coat may be of solid liver or a combination of liver and white such as liver and white ticked, liver patched and white ticked, or liver roan. A dog with any area of black, red, orange, lemon or tan, or a dog solid white will be disqualified. Another misconception about the Breed standard is how can a black GSP be registered if the color is listed as a disqualification. 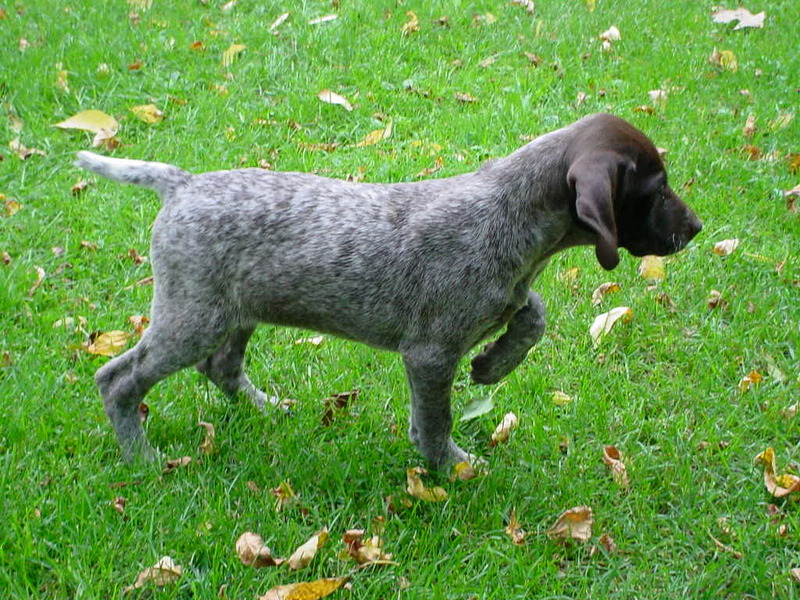 It is because the AKC has an open registration for the GSP breed and if an applicant meets the AKC registration requirement the dog can be registered.